Download and Print this Financial Services Guide. We are an Australian Financial Services Licensee and are licensed under the Corporations Act to advise and deal in relation to all general insurance products. We can act in a number of roles in providing our services. If we are given “binding authority” from an insurer, this means we can enter into insurance policies and/or handle or settle claims on their behalf without reference to them, provided it is within the authority they have given us. We will tell you when we act for an insurer and not for you. We can also assist you when you need to make a claim. If a claim occurs contact us and we can help you decide what to do. We do not do anything without your consent. We provide this assistance as part of our overall service for no separate charge unless we tell you otherwise. We don’t provide this service if we no longer act for you. We and AUB Group Limited (AUB Group) (ABN 60 000 000715), have a preferred supplier arrangement with Hunter Premium Funding Pty Limited (HPF) for the arrangement of premium funding. In arranging premium funding with HPF, or any other premium funder, we do not provide personal advice or represent that any of the funder’s products and services are right for you or that they are the most appropriate. You need to make your own decision based on the information provided. For example, where you require a number of different covers we may provide personal advice for some products you need and act on your behalf in relation to them. For others we may only provide you with general advice and for others only act as agent of the insurer not you. We can provide a further explanation of why this is the case and we make sure we tell you what the service is and our role before or at the time we provide the service. Ask us if you need more detailed information or do not understand our explanation. You need to give us instructions in writing by letter, email or fax or another method agreed by us. We will tell you what is possible when you contact us. insurance we can be remunerated in a number of ways. They can vary according to the service you require and/or our arrangements with the relevant insurer or their representative. Unless we tell you in writing that we will provide our service on a “Fee only – no commission” basis, we are remunerated by commission from the relevant insurer whenever you enter into an insurance policy arranged by us (including renewal and some variations which increase the premium payable). The commission does not represent our profit margin as it also reimburses us for administrative and other expenses we incur in providing our services. The commission is included in the premium amount set out in your invoice and we receive it when you pay the premium or at a later time agreed with the insurer. We are a member of the AUB Group of insurance brokers. AUB Group Limited (ABN 60 000 000 715) (AUB Group) and IBNA Limited (ABN 43 086 563 055) (IBNA) are joint owners of A & I Member Services (AIMS) a company that provides marketing, distribution and training services to members of AUB Group and IBNA Group. Some insurers pay a commission to AIMS on selected products arranged by AUB Group member insurance brokers and IBNA members which is an agreed percentage of the base premium (Before government fees or charges). Different insurers may pay different commission rates to AIMS. This money funds the provision of AIMS services to AUB Group and IBNA members. We, other AUB Group members and IBNA members benefit from this support and it helps ensure we can continue to provide you with our extensive range of services. AUB Group and IBNA members may also be entitled to share in any excess of the commission received by AIMS in any one annual period (if any) after deduction of all relevant AIMS costs and expenses in providing its services in the period. Chubb Insurance Company of Australia Limited (ABN 69 003 710 647) under which we may receive an annual profit share in relation to agreed products. To receive it we must meet eligibility criteria (e.g. deal with the insurer as intermediary for the annual period) and meet an agreed profit target. The target is based on an agreed formula (it takes into account matters such as premium received, claims and expenses incurred etc.) and the amount we receive varies according to the level we exceed the target. The most we can receive is up to 5% of gross written premiums. We may receive nothing if we don’t meet the relevant requirements. Ask us if you need more information. Unless we specifically agree in writing before providing our services to charge on a “Fee only – no commission” basis, the Fees will be paid in addition to ant commission we receive. Where we act for the insurer, not you, we receive commission form the insurer as our principal and may also charge you an administration fee. The amount of the fee will vary depending on the complexity and type of services that we provide you with. We will tell you how much the fee is before we provide you with the service. The fee is payable when you buy the policy or at such earlier time as we agree with you in writing. It is noted in the invoice we send you and is not refundable. Where a third party has referred you to us, we may pay them an agreed percentage of our remuneration or an agreed amount for the referral as a commission or fee. This amount will be paid after we provide services to you/after we have arranged insurance for you. A commission or an agreed fee may also be paid on renewal and in some cases on variation. From time to time we and our representatives may also receive what are commonly referred to as “soft dollar benefits’ from product issuers and other financial service providers we deal with. Our policy is that any of the above received by us or our representatives that excess $300 per item or transaction in estimated value are potentially material. This means they must be disclosed to our Conflicts Manager in writing. The Manager determines if appropriate procedures are in place to manage or avoid any potential conflict of interest which might arise. They only approve benefits where this is the case and retain a record of this which you can access on request. If we refer you to a premium funder and you enter into premium funding arrangements with them, we may receive commission from the premium funder which is a percentage of the amount funded excluding GST. The amount of commission varies depending on our arrangement with the premium funder we refer you to. In some cases we have a profit share arrangement with the premium funder where we receive a percentage of any profit the premium funder makes on the funds loaned by persons we refer to them. We may receive soft dollar benefits from them too. (d) a payment based on a percentage on certain general insurance business placed by AUB Group Network with certain division of Allianz Insurance Limited. Where we don’t provide you with personal advice as a retail client you can ask us to give you more particulars of our remuneration (including commission) or other benefits within a reasonable period after receiving this FSG and before we provide you with the financial service to which this FSG relates, unless we agree otherwise. We handle all money received from you of the insurer in relation to insurance in accordance with the requirements set out by the Corporations Act 2001 (Cth). We keep any interest earned on any amounts held by us on your behalf or on behalf on the insurer. The length of time we hold any money can vary according to the type of insurance and the different arrangements we have in place with insurers. In some cases we may refer you to or advise you to use the services of one of our related body corporates. They may act as agent of the insurer and you will be told when this is the case. As a member of the same corporate group we may indirectly benefit from any such referral or advice if it improves the group performance. Please refer to our remuneration section for the normal benefits we can receive under such arrangements. HOW DO WE MANAGE CONFLICTS OF INTERESTS? We take any potential conflicts of interest seriously and have Conflict of Interest Policy which we and our representatives must comply with and you can access by contacting us. Compliance is audited on a regular basis. We have a number of procedures in place to manage this potential conflict of interest. For example, we tell you about this remuneration arrangement in this Guide and you can ask for more detailed information if you need it before you proceed. If we provide you with personal advice we have a legal duty as a professional to put your interests ahead of our own and can only provide you with advice that is appropriate for you. If we can’t provide such advice we will tell you. The documentation that we will give you if we provide you with personal advice also confirms the remuneration received. We and our representatives are trained in this important duty and compliance with it is monitored regularly. A cooling off period may apply to an insurance policy issued to you as a retail client. During the period you may return the policy. Details of your cooling off rights are included in the relevant Product Disclosure Statement document. In some cases as insurer can deduct certain amounts from any refund. Understand anything we have set out in that document. It will help you understand some important matters about your insurance. We try to tell you the correct amounts of premium and statutory and other charges that apply to your insurance. In the event that we misstate that amount (either because we have made an unintentional error or because a third party has misstated the amount), we reserve the right to correct the amount. Where permitted by law, you shall not hold us responsible for any loss that you suffer as a result of any such misstatement. JMD Ross Insurance Brokers is a proud member of the National Insurance Brokers Association (NIBA) and are bound by their Code of Conduct. If you have any further questions about this Financial Services Guide, please contact us on phone number (02) 9906 1199. Keep this document for your reference and any future dealings with us.  At JMD Ross Insurance Brokers we are committed to protecting your privacy in accordance with the Privacy Act 1988 (Cth) (Privacy Act) and the Australian Privacy Principles (APPs). This Privacy Notice outlines how we collect, disclose and handle your personal information (including sensitive information) as defined in the Act. These third parties can include our related companies, our agents or contractors, insurers, their agents and others they rely on to provide their services and products (e.g. reinsurers), premium funders, other insurance intermediaries, insurance reference bureaus, loss adjusters or assessors, medical service providers, credit agencies, lawyers and accountants, prospective purchasers of our business and our alliance and other business partners.